05 July 1943: Keel laid by the Mare Island Navy Yard, Vallejo, Cal. 172k William Wilson Creamer was born in York County, Pa., on 01 December 1916. 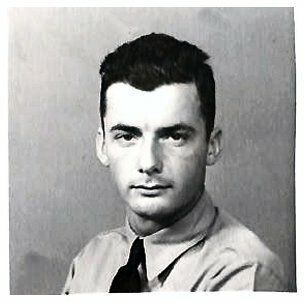 Enlisting in the Naval Reserve in December 1939, he completed flight training, and was commissioned ensign in December 1940. As a pilot in Torpedo Squadron 8 at the Battle of Midway, Ensign Creamer gallantly gave his life in heroically pressing home an attack against an enemy aircraft carrier in the face of overwhelming opposition. For his extraordinary heroism he was posthumously awarded the Navy Cross. 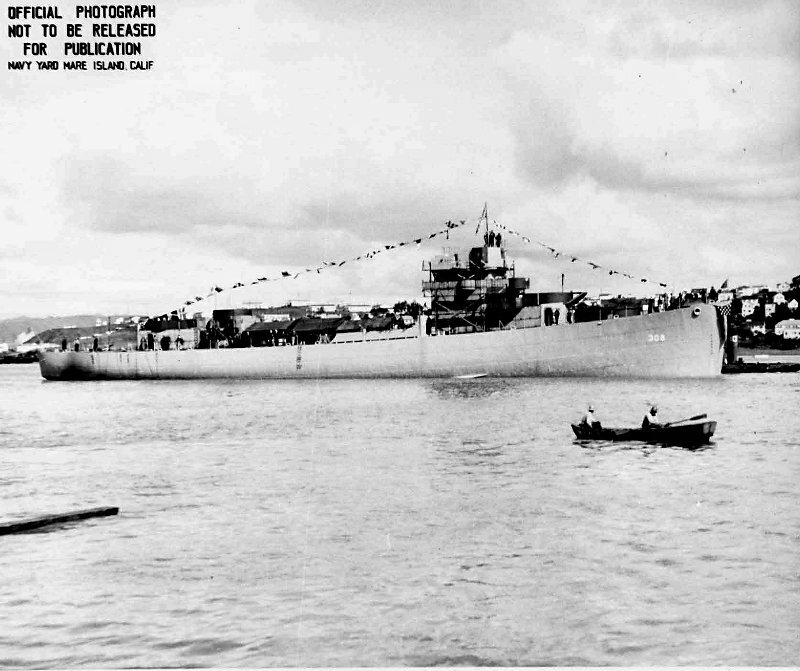 USS Creamer (DE 308) was the first ship to be named in his honor. 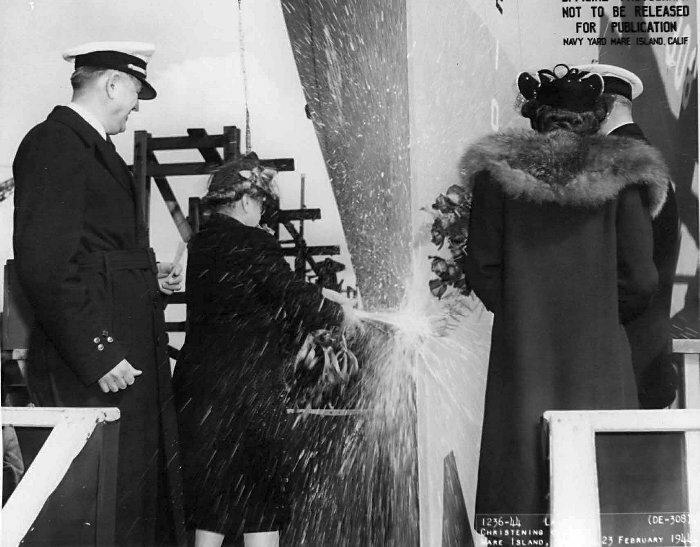 75k 23 February 1944: Mrs. D. E. Creamer (sponsor) christens the USS Creamer (DE 308), as Mrs. Leonard W. Jones (Matron of Honor) watches. 94k 23 February 1944: Creamer immediately after her launching. 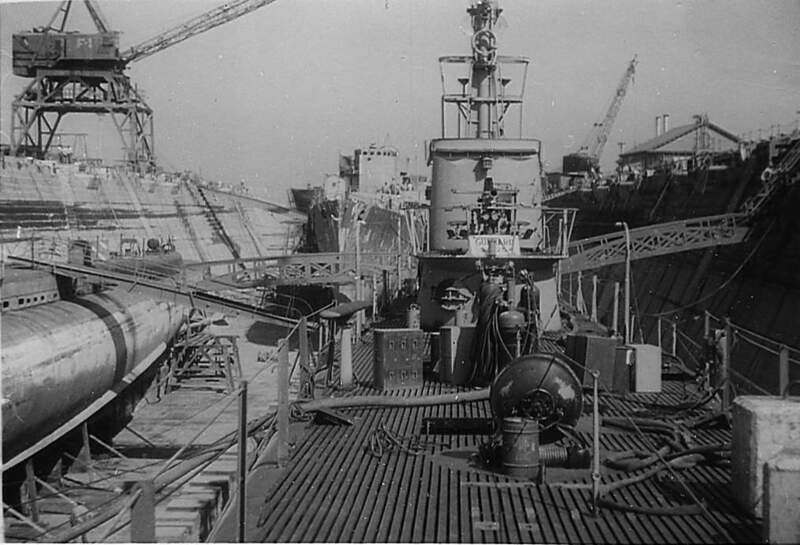 109k 23 February 1944: Bow view of Creamer. 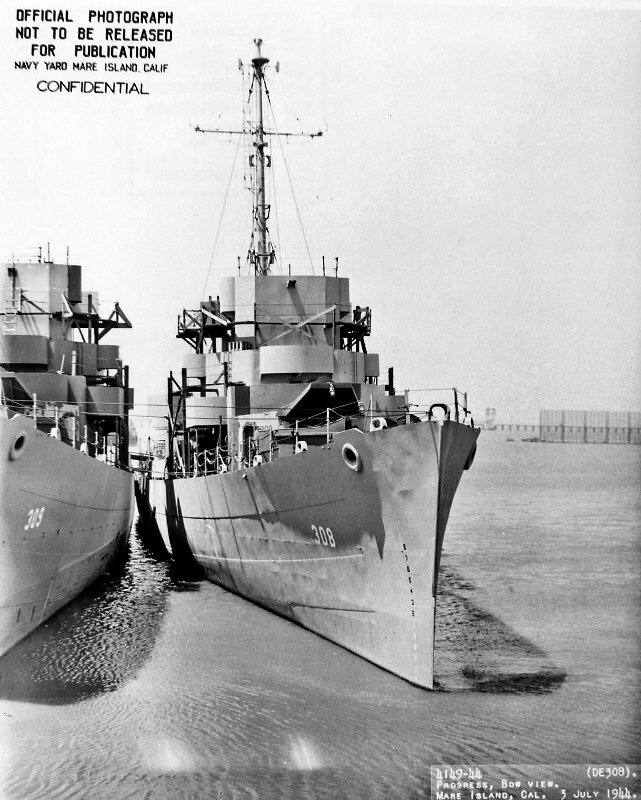 144k 03 July 1944: Stern view of Creamer, ship in the middle. 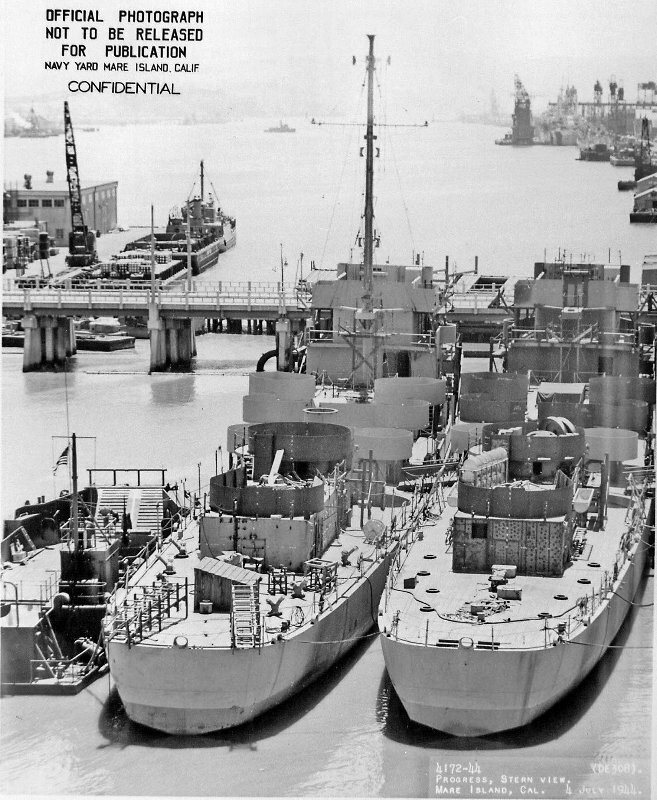 Left to right: A MK6 LCT built at Mare Island, USS Creamer (DE 308) and USS Ely (DE 309). 144k I believe this is Hunters Point and the DE in background to be DE 308 (Creamer) which was built and launched at Mare Island but never completed. There were 3 Mare Island DE's not completed and two were cut in half and pulled onto the large building ways at the yard and scrapped. It makes sense that the third one could have gone to Hunters Point for its appointment with the cutting torch. Gurnard came to Mare Island on 11/26/45 and was placed into Reserve on 11/27/45. View the USS Creamer (DE 308) DANFS history entry located on the Naval History and Heritage Command web site.